Florida Child Support Laws: Determining how much to pay for child support in Florida doesn't have to be a hassle. Courts in Florida determine how much you pay for child support according to Florida State 61.30. This single, simple formula will have such a drastic affect on you, it pays to know how you will be affected the entire journey. No one else will tell you this, but put aside the concerns of your spouse and children for just a few hours. Understand how much you will be paying for the next 18 years of your children's lives. Knowledge is power. 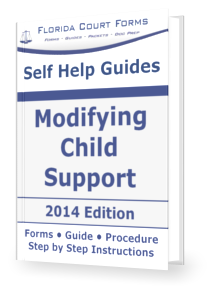 Chapter 61.30 of the Florida statutes is the Florida child support law that determines child support according to the income of both parents, the child's health care and child care costs, and the "standard needs for the child." For an extensive list of what is considered your income, you should read Florida's Statute 61.30. Contrary to what you might first think, your "income" as defined by Florida statute law is not just your salary and earnings from your job. It also includes pretty much any other source of income you receive, such as overtime, disability benefits, and interest/dividends from stock investments. Florida child support laws also allow you to make certain deductions in considering how much you will pay for child support. Tax deductions and health insurance payments are two of the big deductions you can consider. You can find the rest written inFlorida Statute 61.30. When becoming educated about statute 61.30 and Florida Child Support laws in general, you should look read the actual laws, even if you don't understand them or already have a lawyer. Just give it your best shot. Other valuable information in Florida Statute 61.30 is the minimum monthly contributions that must be made depending on salary. For example, according to Florida child support law, if your net monthly income is $2,000, then you will be required to pay $442 in monthly child support for one child. It is beneficial to have a general idea of how much you can expect to pay for child support, before even getting a lawyer. Get knowledgeable. Get informed. Do your homework, and read actual Florida child support laws in addition to legal advice, summaries of the laws, and research. You can never be too informed.